There are always key head-to-head battles and match-ups in big games like Manchester United versus Liverpool but I think three major confrontations will decide the outcome at Old Trafford today. Across the pitch there is not much between the two teams if they are in top form. Starting with the goalkeepers David de Gea and Alisson Becker, who are both world class, with different strengths . . . I could go on. But there are three outstanding one-to-one battles in today's game and the team that comes out on top in those contests is certain to win. Pogba only has eyes on the Liverpool game because he is suspended for the midweek Champions League second leg against Paris Saint-Germain while Henderson comes into this match on the back of an outstanding performance against Bayern Munich. The question is can Henderson reach those levels to get close to Pogba when he is at his best and most dangerous? The Frenchman has been excellent since the shackles of Jose Mourinho were removed and he is clearly enjoying the freedom under Ole Gunnar Solskjaer. His burst of pace is extraordinary. It reminds me of playing against Yaya Toure. I really thought I could keep up with him but when he got into his stride, he was gone and I was thinking, 'I am going to have to rugby tackle this guy to stop him'. 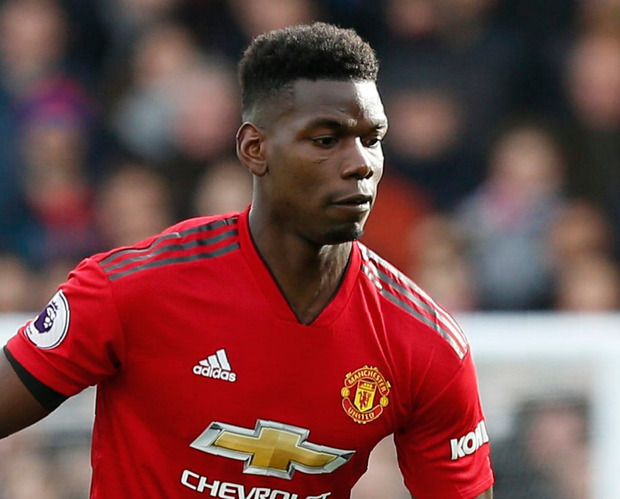 When Pogba puts his foot down and bombs into the box, there is only one winner, which was demonstrated by his goal against Chelsea in the FA Cup last week when he ghosted into the penalty area and powered his header home. Most of the time, Henderson is a six or seven out of ten, but when he is on top of his game, playing with confidence and not carrying an injury, he is a nine, as he was against Bayern. I reckon he is a nine or ten every day on the training ground and in the dressing room, which is why he is the Liverpool captain and Jurgen Klopp loves him so much. You need to be in the Liverpool dressing room to get his personality and see how he goes about his job and how professional he is. Klopp knows he can rely on Jordan Henderson, which is why he is in the team. This will be a game of cat and mouse between two players who have been among the most consistent for their clubs this season and who are bound to be involved in key moments. Salah has been among the goals again and, even though it doesn't feel he has been as prolific this season, he has still scored 20 goals in 35 appearances for Liverpool. And with just one goal in the last four, you get the feeling he is due one. Shaw might be reluctant to go forward as much as he has under Solskjaer so far because he cannot afford to leave the gaps Salah wants to exploit. The centre-backs will have a big role to play to nullify that threat, if Shaw does manage to get forward. Victor Lindelof has been the stand-out defender in the current run but this is a big test for him. Most of the attention surrounding Mourinho's exit and United's turnaround, has centred, inevitably, on Pogba. But Shaw turned his United career round before the Demanding One left and has continued his excellent form. There is no guarantee Rashford will play through the middle for United, but I hope that is the case. It is his best position, they are much more effective when he is given the role and Romelu Lukaku is on the bench or the wings. Most importantly, it will be a fascinating tussle with Liverpool's best defender. Rashford is another player who has clearly benefited from Solskjaer's new approach and the striker is showing what he is really made of now he is concentrating solely on his football, rather than impressing the manager, and he is a menace for defenders. He takes everything in his stride, moves with the flow and does not get too excited but he is capable of hurting you with his runs in a flash, allowing Pogba to pick up space. They are trying to stretch teams with their rotation and running power and Rashford is brilliant at creating space for others. From the guy I saw at Walsall reserves, to one of the best defenders, Van Dijk has all the attributes to handle Rashford and Pogba as if they are Sunday League players. He is an animal and has everything, a presence and calmness and keeping things simple. He is by far closest thing we have seen to Rio Ferdinand in terms of reading the game.